The Humanitarian UAV Network (UAViators) promotes the safe, coordinated and effective use of UAVs in a wide range of humanitarian settings. 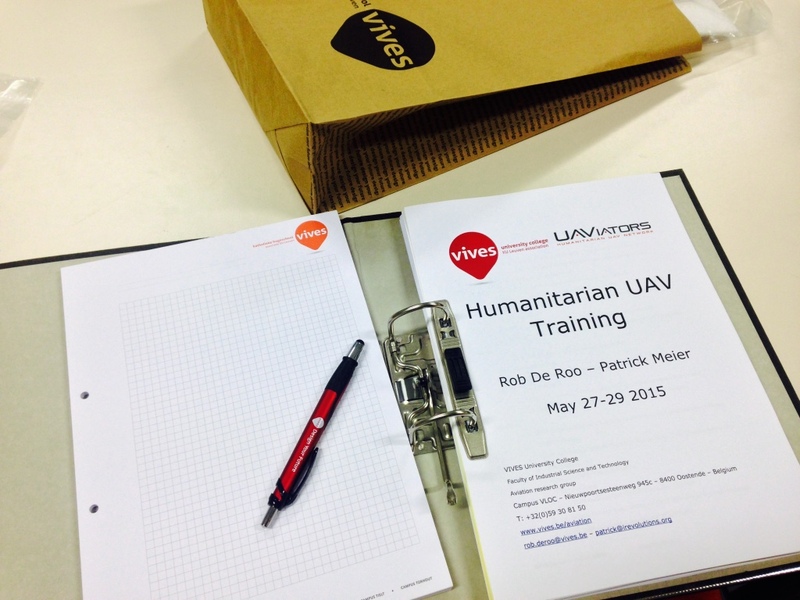 To this end, the Network’s mission includes training the first generation of Humanitarian UAV experts. This explains why I teamed up with VIVES Aeronautics College last year to create and launch the first ever UAV training specifically geared towards established humanitarian organizations. 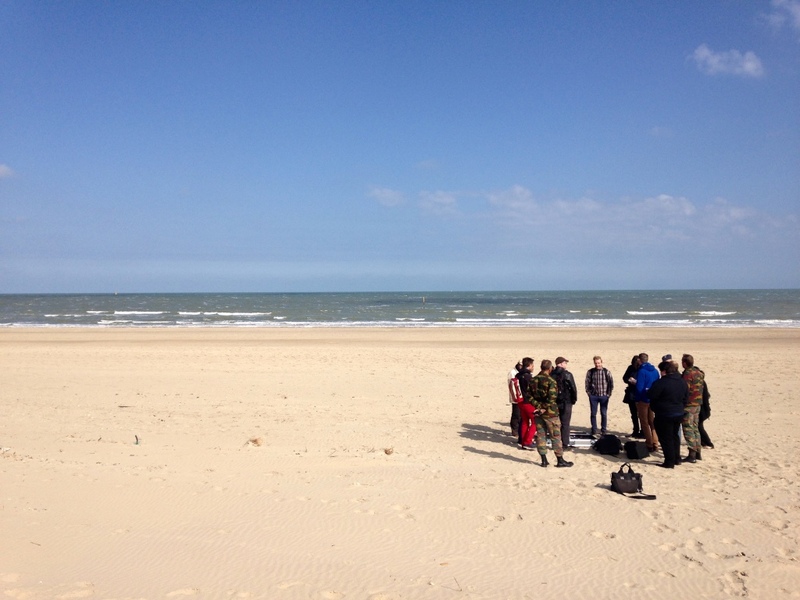 The 3-day, intensive and hands-on training took place this month in Belgium and went superbly well, which is why we’ll be offering it again next year and possibly a second time this year as well. Participants included representatives from the United Nations Office for the Coordination of Humanitarian Affairs (OCHA), World Food Program (WFP), International Organization for Migration (IOM), European Union Humanitarian Aid Organization (ECHO), Medair, Direct Relief, and Germany’s Development Organization GIZ. We powered through the most important subjects, ranging from airspace regulations to the physics of flight, the in’s and out’s of civil aviation, aeronautics, weather forecasts, programming flight routes, operational safety, standard operating procedures, best practices, etc. I gave trainings on both Humanitarian UAV Applications and Humanitarian UAV Operations, which totaled well over 4 hours of instruction and discussion. 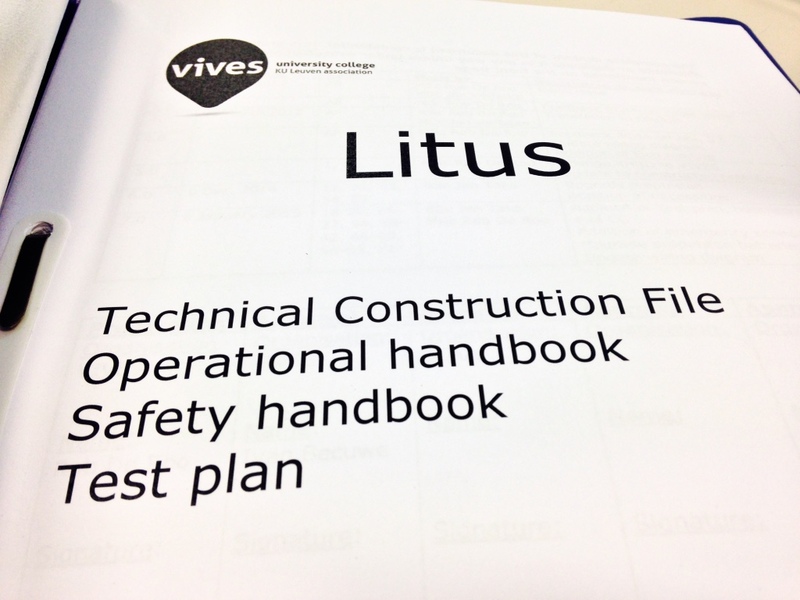 The Ops training included a detailed review of best practices—summary available here. 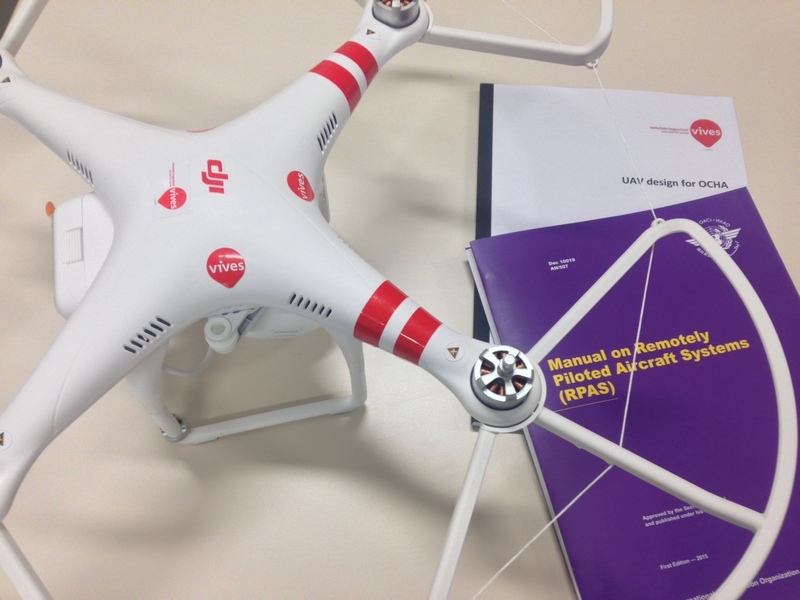 Knowing how to operate this new technology is definitely the easy part; knowing how to use UAVs effectively and responsibly in real-world humanitarian contexts is a far bigger challenge; hence the need for this training. 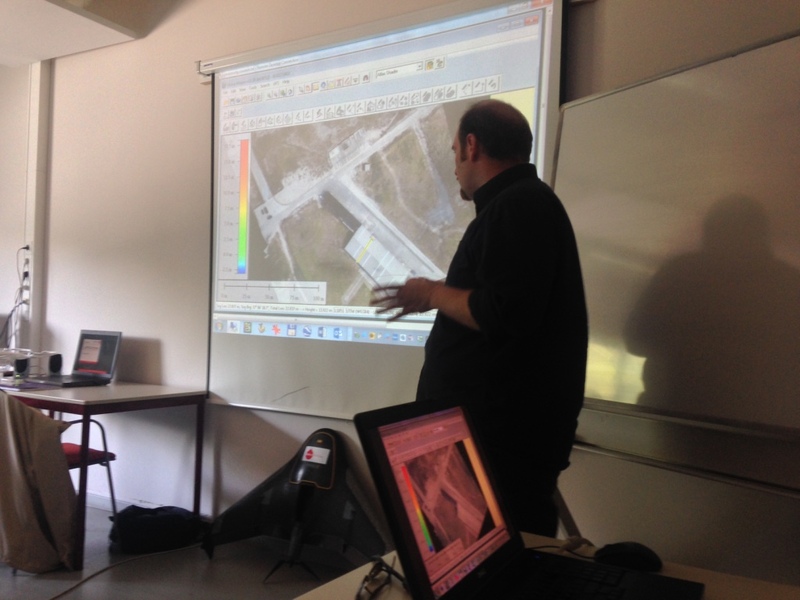 The purpose of the course was to provide the kind of training that humanitarian professionals need in order to 1) Fully understand the opportunities and limitations of this new technology; 2) Partner effectively with professional UAV teams during disasters; and 3) Operate safely, legally, responsibly and ethically. The accelerated training ended with a 2-hour simulation exercise in which participants were tasked with carrying out a UAV mission in Nepal for which they had to use all the standard operating procedures and best practices they had learned over the course of the training. Each team then had to present in detail how they would carry out the required mission. Below are pictures from the 3-day event. Each day included some 12 hours of instructions and discussions—so these pictures certainly don’t cover all of the flights, materials and seminars. 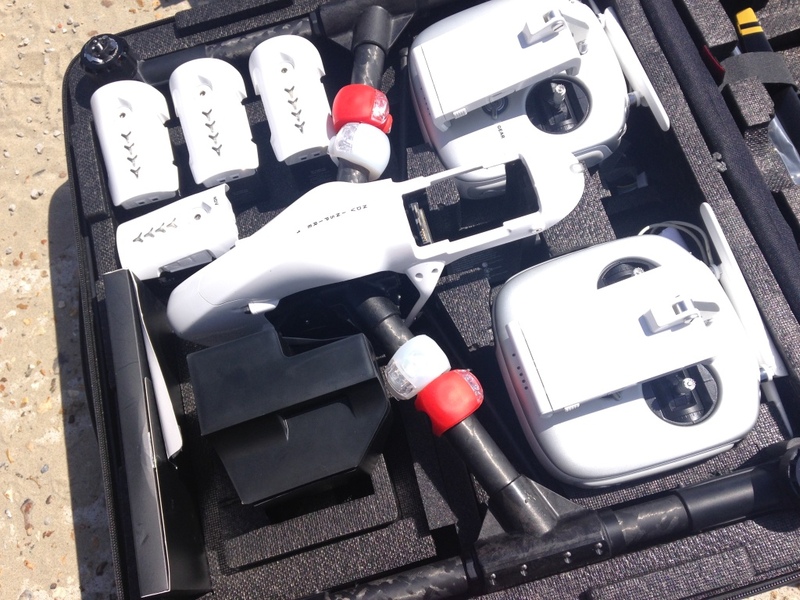 For more on this unique UAV training course, check out this excellent blog post by Andrew Schroeder from Direct Relief. In the meantime, please feel free to get in touch with me if you’re interested taking this course in the future or would like a customized one for your organization. 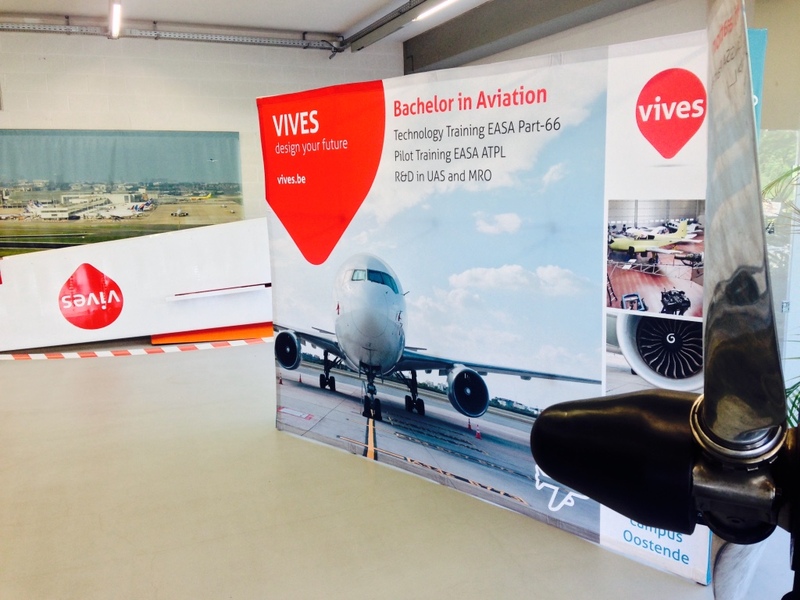 The VIVES Aeronautics campus in Belgium has a dedicated group focused on UAV courses, training and research in addition to traditional aviation training. 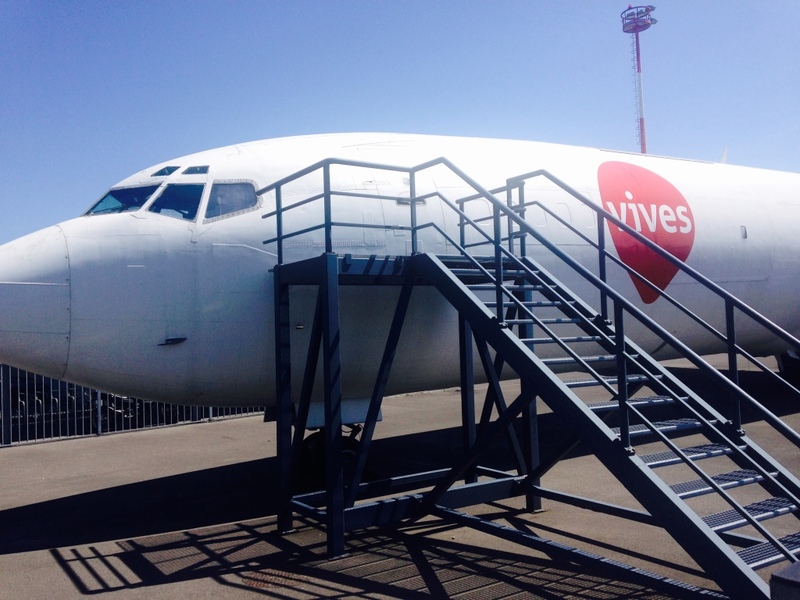 Facilities at VIVES include flight simulators, computer labs and labs dedicated to building UAVs. We went through hundreds of pages and at least 400 slides of dedicated training material over the course of the 3 days. We took a direct, hands-on approach from day one of the training. Naturally, we go all the necessary legal permissions to operate UAVs in this area. 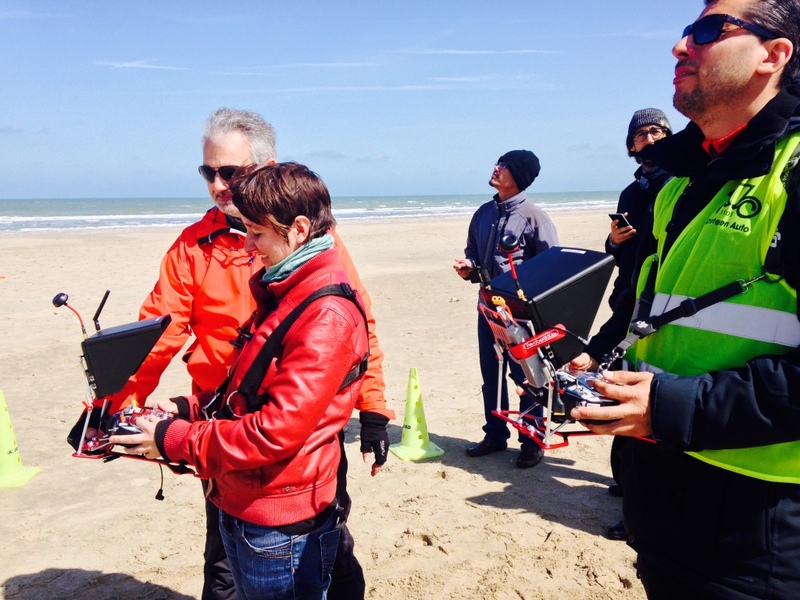 Introducing participants to fixed-wing and multi-rotor UAVs. 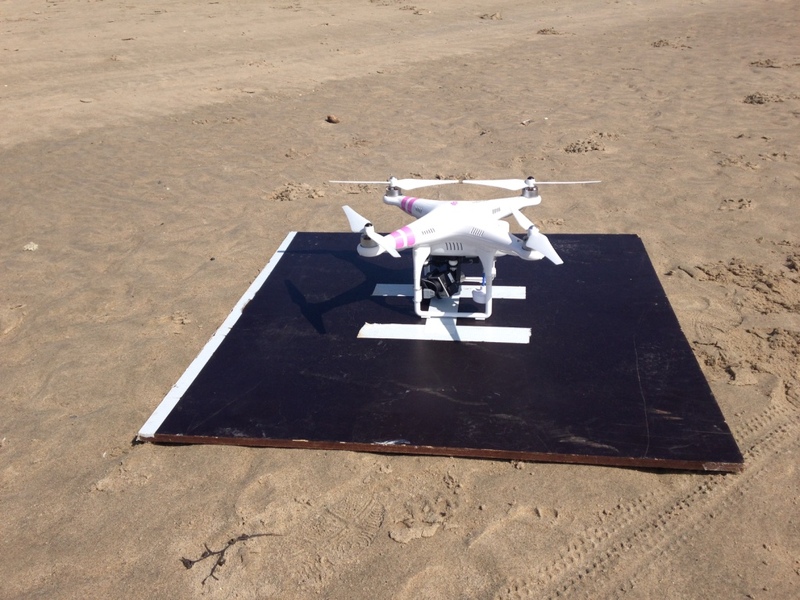 Participants learned how the basics on how to operate this fixed-wing UAV. 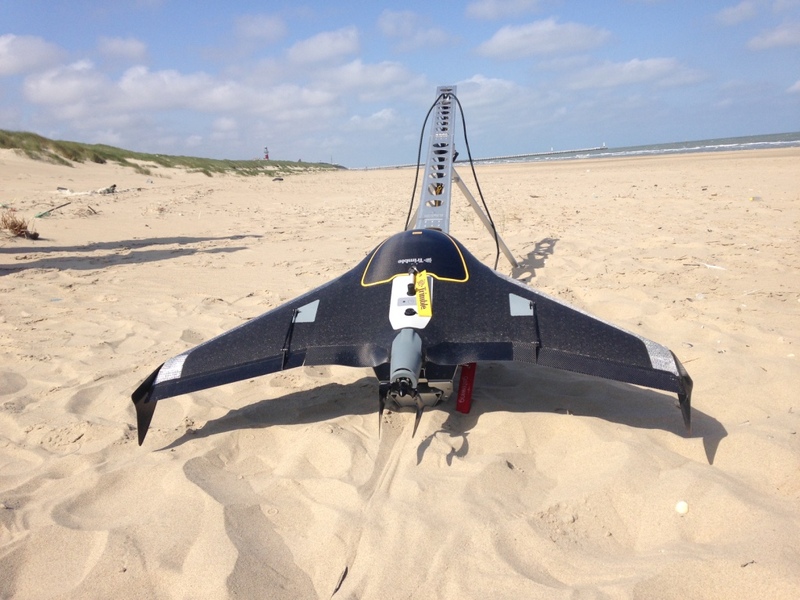 Some fixed-wing UAVs are hand-launched, this one uses a dedicated launcher. We flew this one for about 20 minutes. 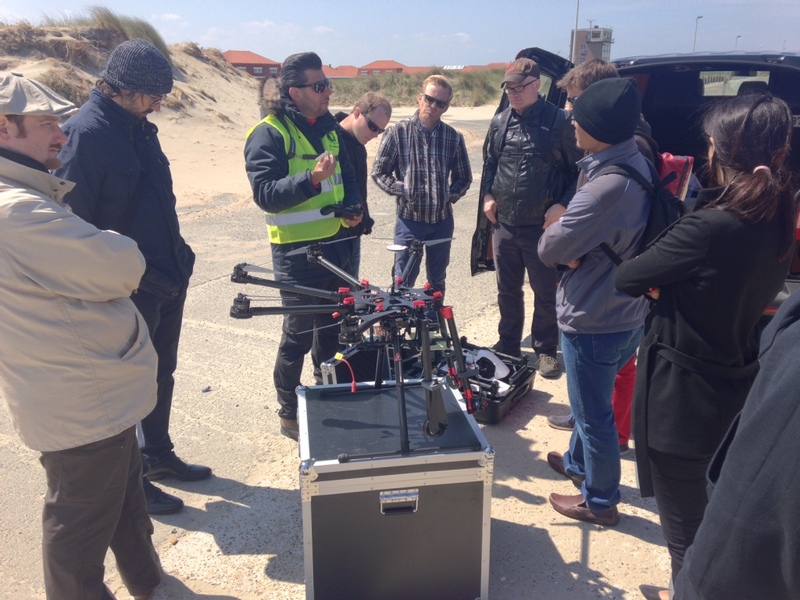 Multi-rotor UAVs were then introduced and participants were instructed on how to operate this model themselves during the training. So each participant took to the controls under the supervision of certified UAV pilots and got a feel for manual flights. Other multi-rotor UAVs were also introduced along with standard operating procedures related to safety, take-off, flight and landing. 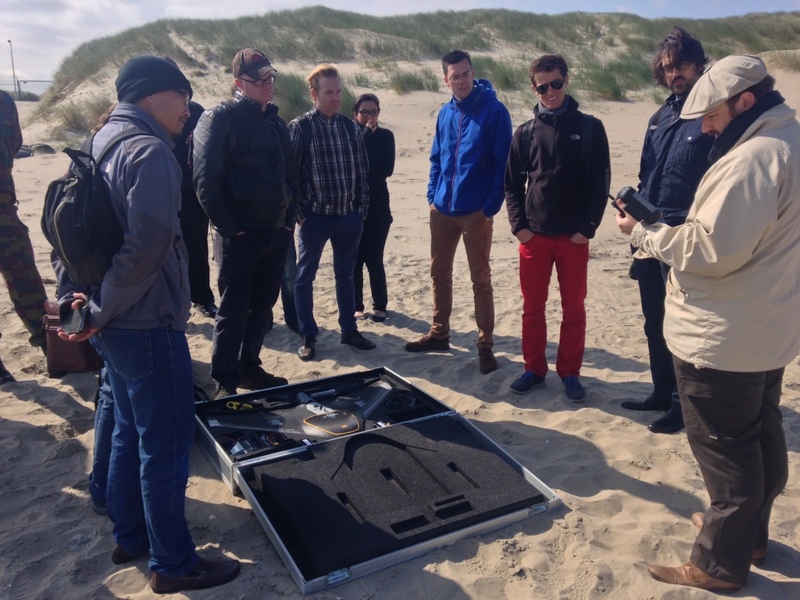 Multi-rotors were compared with fixed-wing UAVs and participants asked about which type of asset to use for different humanitarian UAV missions. We then visited a factory dedicated towards the manufacturing of long-range fixed-wing UAVs so participants could learn about airframes and hardware. 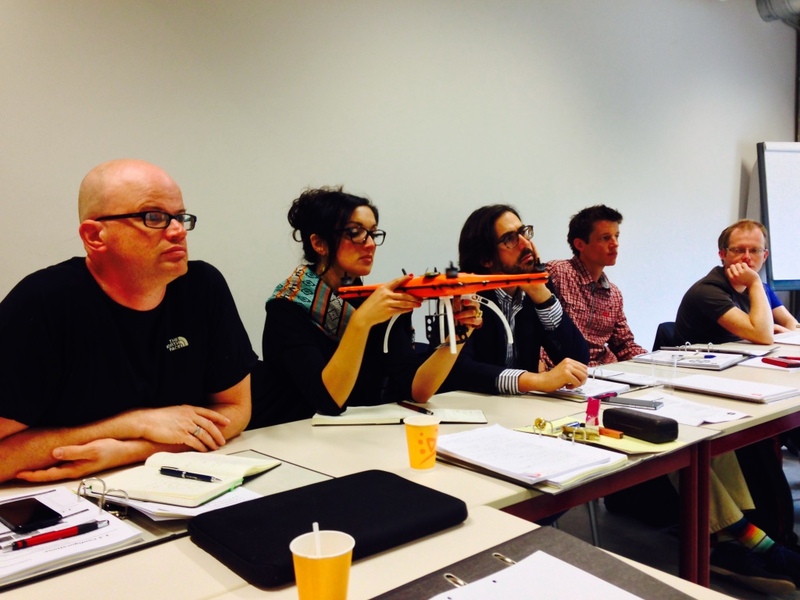 After half-a-day of outdoor, hands-on training on UAVs, the real-work began. 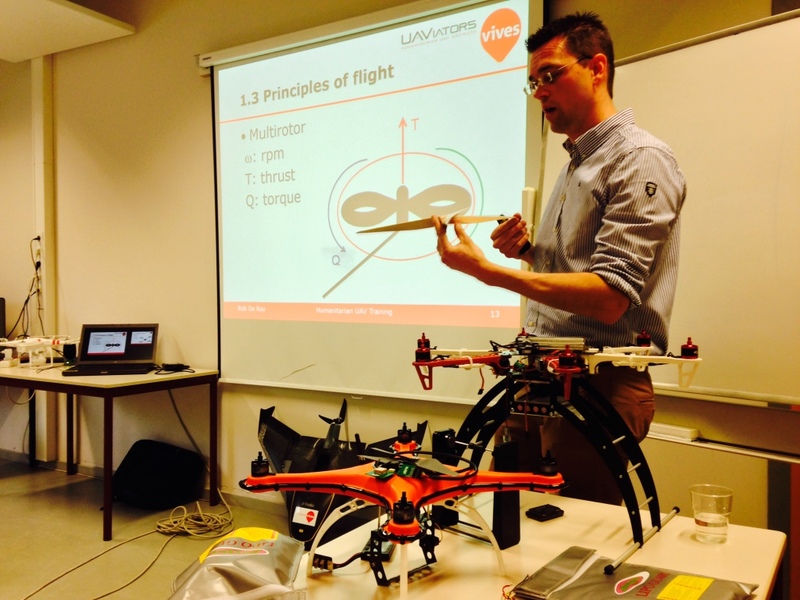 Intensive, back-to-back seminars to provide humanitarian participants with everything they need to know about UAVs, humanitarian applications and also humanitarian UAV missions. 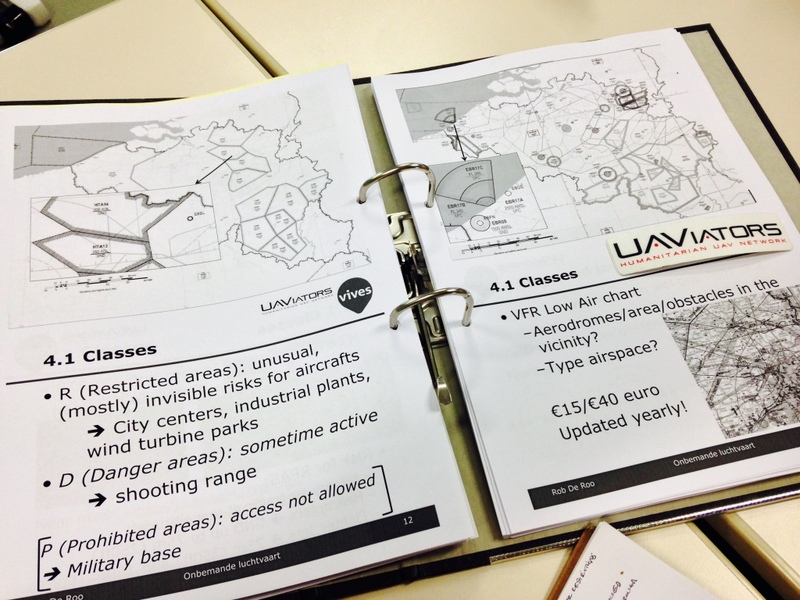 From the laws of the skies and reading official air-route maps to understanding airspace classes and regulations. Safety was an overriding theme throughout the 3-day training. Participants were also introduced to the principles of flight and aviation. All seminars were highly interactive and also allowed for long question & answer sessions; some of these lasted up to an hour and continued during the breaks. 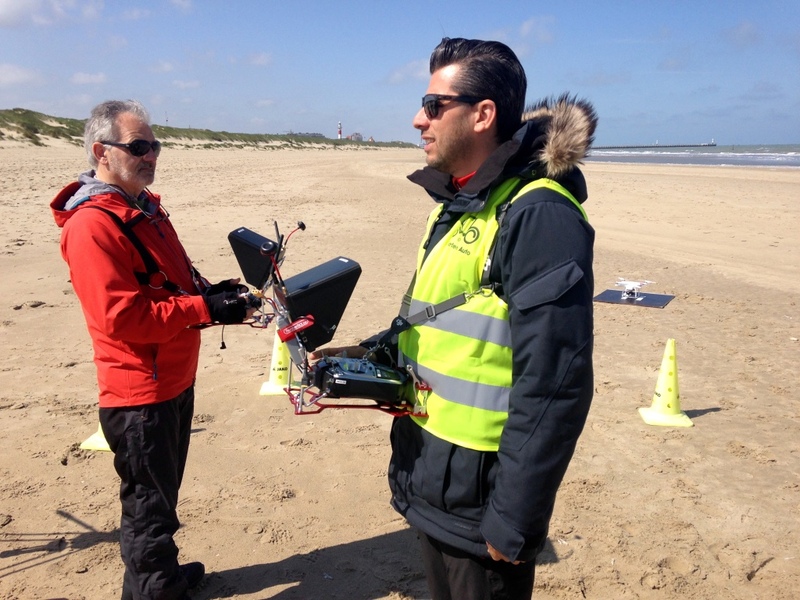 All aspects of UAV technology was introduced and discussed at length, such as First Person View (FPV). Regulations were an important component of the 3-day training. 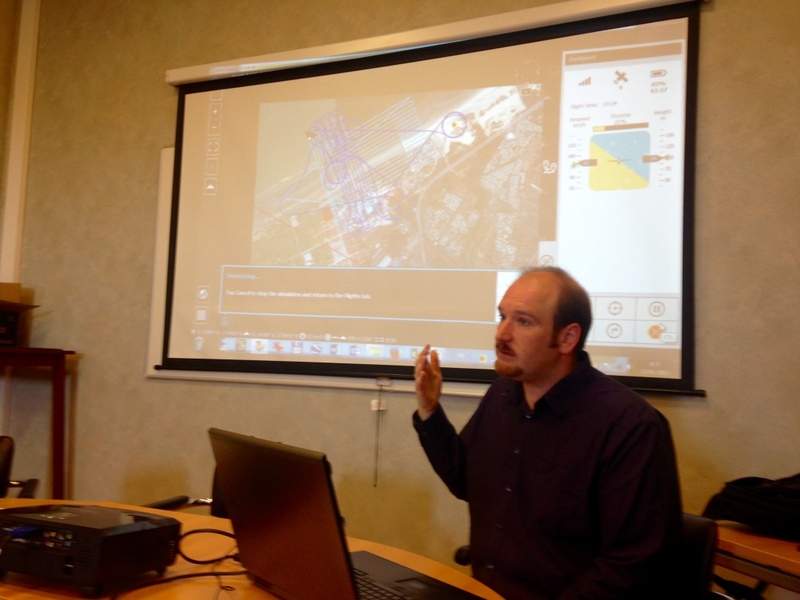 Participants learned how to program UAV flights; they were introduced to the software and provided with an overview of best practices on flight planning. 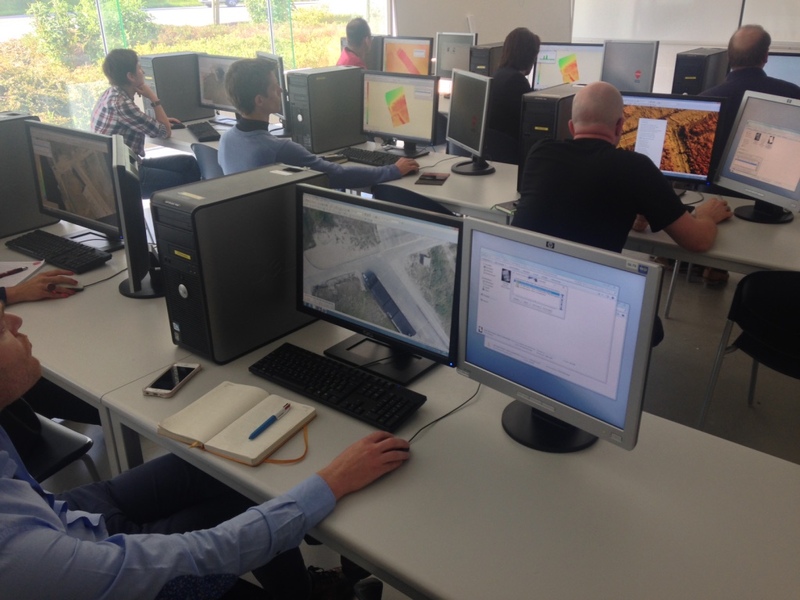 A hands-on introduction to imagery processing and analysis was also provided. Participants were taught how to use dedicated software to process and analyze the aerial imagery captured during the morning outdoor sessions. 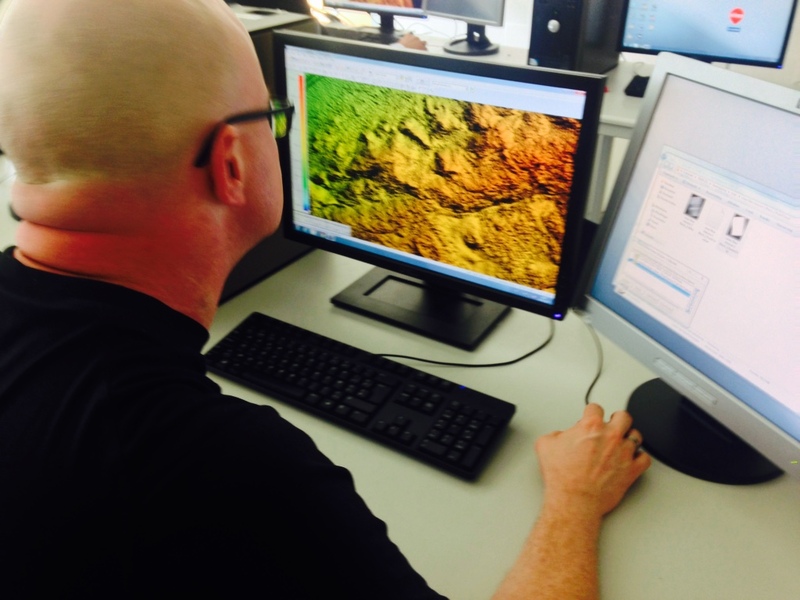 Participants thus spent time in the dedicated computer lab working with this imagery and creating 3D point clouds, for example. Humanitarian OpenStreetMap, MapBox & MicroMappers were also introduced. 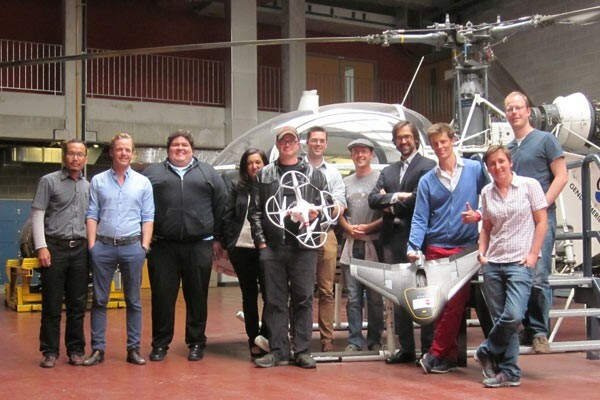 The first UAViators & VIVES Class of 2015! 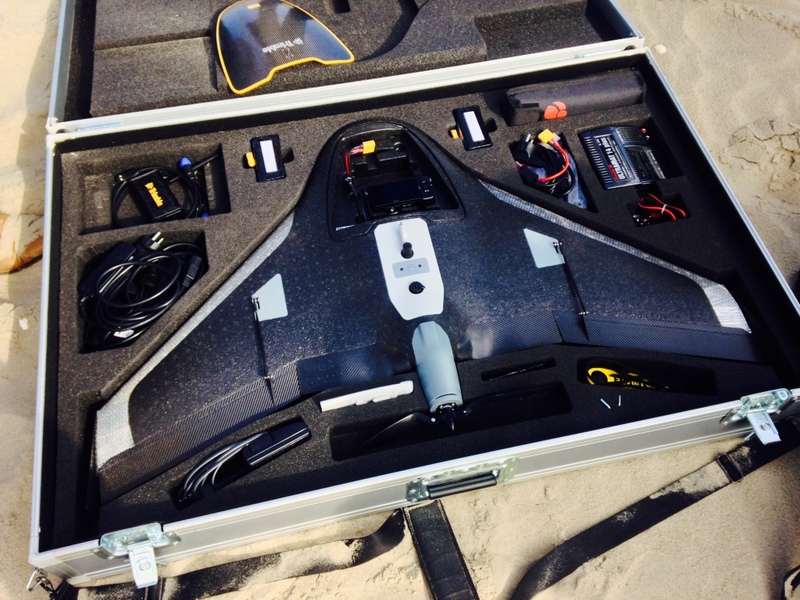 This entry was posted in Drones/UAVs, Humanitarian Technologies and tagged Course, Program, Training. Bookmark the permalink. great!! when in italy? in south Italy.. Awesome! Humans caught doing great things! Peace! Sounds like there is a lot to look forward to… Cheers!